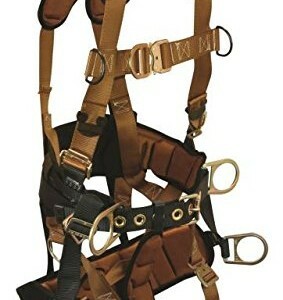 7085S, ComforTech Tower Climber 4-D Full Body Harness w/Seat, Small Comfort, function and fit are the focus of Tower Climber harnesses. A perfect balance of Seat and Back support is achieved with our full-range adjustability throughout the rig. Extreme comfort Saddle Seat padding for extended positioning work with dual internal lightweight aluminum support bars and ballistic nylon outer skin for rugged durability. Removable Saddle Seat with 4-point adjustability and attachment to the waist support assembly at the hips and back. Lumbar supported ComforTech waist pad with full hip wrap for side-D comfort. 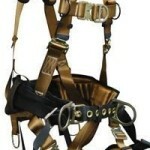 Removable Shoulder and Thigh Pads with ballistic nylon outer skin. 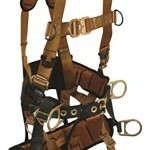 7-Position adjustment belt and 9-Position adjustment legs for a superior range of fit. 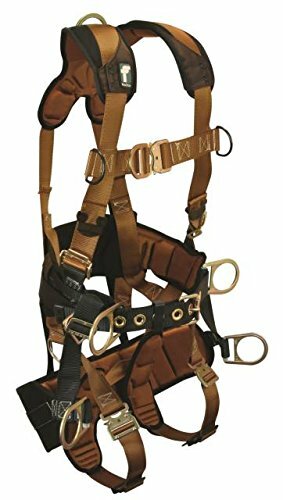 Quick-Connect chest buckle and 4 D-Rings for Fall Arrest, Work Positioning and Climbing.